Another year in cinema, another belated top ten films list. Again, my apologies to all those who prefer top ten lists published within a week or two on either side of New Year’s Day. Cinema in 2017, in response to the chaos of the year before, seemed exhausted and bleak. The ideological gap between professional critics and mainstream moviegoers remained as wide as ever. Whereas DC superhero adaptations had to rely on producing one of the more important films of 2017 (Wonder Woman) while settling for the most basic of popcorn fun (Justice League) to save face, Marvel-related properties continued to see marvelous success. The Disney-produced entries Thor: Ragnarök and Guardians of the Galaxy Vol. 2 thrilled audiences, while the Fox-produced Logan surprised with a Best Adapted Screenplay Oscar nomination. As promised in my 2017 superhero movie list, Spider-Man: Homecoming will stay in my overall top 30 as my favorite of 2017’s nine superhero films. As even the year’s superhero offerings demonstrate, 2017’s brighter and more enthusiastic pockets lay with those itching for a bit of anarchy. It took me over 230 first-time viewings of new releases, not to mention the help of MoviePass (of which I was a subscriber long before it took off during the last third of 2017), to find those cinematic pockets. It then took every fiber of my being, along with several re-watches, to commit to a top ten. After all, I intend with this list to cement the movies I will regard as 2017’s best today as well as a decade from now, against any changing tastes, not to mention the test of time (i.e. the ultimate judge of art). This and number four down below were the last two inclusions in my top ten and both demanded re-watches before I could finalize the list, though not as top ten contenders. I was not sure, upon first viewing, that Aaron Sorkin’s trademark electric dialogue carried the warm human emotion needed to undergird his adaptation of Molly Bloom’s 2014 memoir. My re-watch to confirm Molly’s Game as an honorable mention, however, ended up propelling it to here. 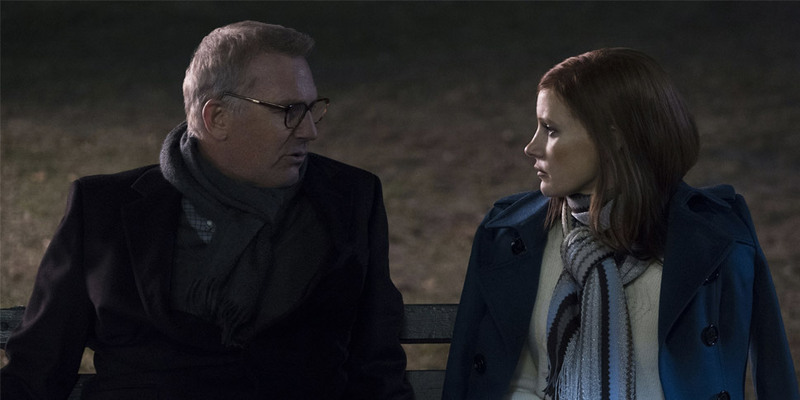 Revisiting that park bench scene between Chastain and Costner and how it unveils the heart of the movie was like watching it again for the first time. Jessica Chastain rules the screen (and the voiceover booth) as Bloom, as do the male players in their smaller but nonetheless key roles (Idris Elba and Kevin Costner especially). Thank goodness the Academy’s writing branch remembered to nominate Sorkin’s script this time after criminally snubbing his masterful script for Steve Jobs two years ago. Even as a visual novice, the propulsive editing by Alan Baumgarten, Elliot Graham, and Josh Schaeffer shows Sorkin’s ability to unite a great crew. Hollywood would fare much better if more directorial debuts were as assured as Molly’s Game. 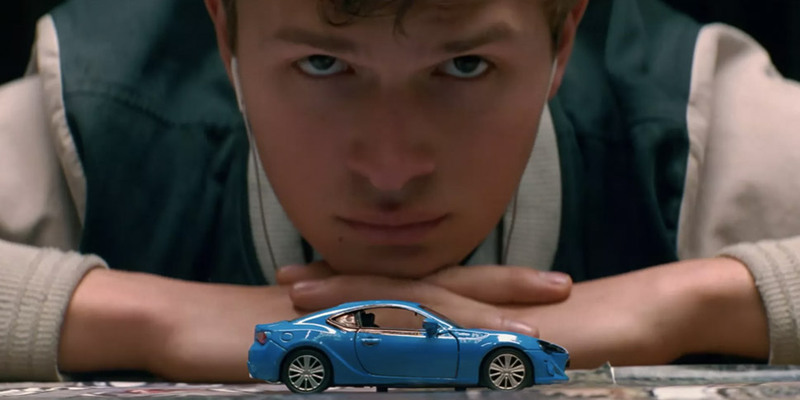 Writer-director Edgar Wright knows how to harness technical crafts to enhance even the simplest of stories and Baby Driver is no exception. Wright synchronizes his cast (led by a modest but formidable Ansel Elgort), Jonathan Amos and Paul Machliss’ editing, and other craft efforts with the meticulous sound design of Julian Slater to magnetic effect. Even with its uncomplicated boy-meets-girl plot, few new releases in 2017 provided as much well-shot, well-edited, and eargasmic fun at the multiplex as Baby Driver, from its fabulous and most groovy opening car chase (“Bellbottoms!…Bellbottoms!”) and funky coffee run to its apt finale. Baby Driver gives me the hope that Wright, whose regretful departure three years ago from Disney-Marvel’s Ant-Man still lingers in the minds of some film buffs, will no longer have to fight for a stateside box office hit. I may cherish most of Disney’s on-screen output and all, but I also admire any movie that throws a punch at the mighty and often intimidating conglomerate. That punch can be as wild and unhinged as 2013’s Escape From Tomorrow or as quiet and bittersweet as my eighth favorite film of 2017—writer-director Sean Baker’s The Florida Project. I get excited discussing the metaphorical layers of Baker’s take on the “hidden homeless” living in the tacky-looking motels near Disney World. Like Jacob Tremblay in 2015’s Room, the young Brooklynn Kimberly Prince invites viewers to see her shabby motel home as a mighty kingdom worth exploring. Beneath the trashy party girl façade of Bria Vinaite lies a young and fragile single mother unable to provide a better life for her wide-eyed daughter. Looming large in the story, however, is Willem Dafoe as the manager-king who works each day to make the Magic Castle Motel as hospitable and welcoming as he can, relative to the nearby Magic Kingdom. 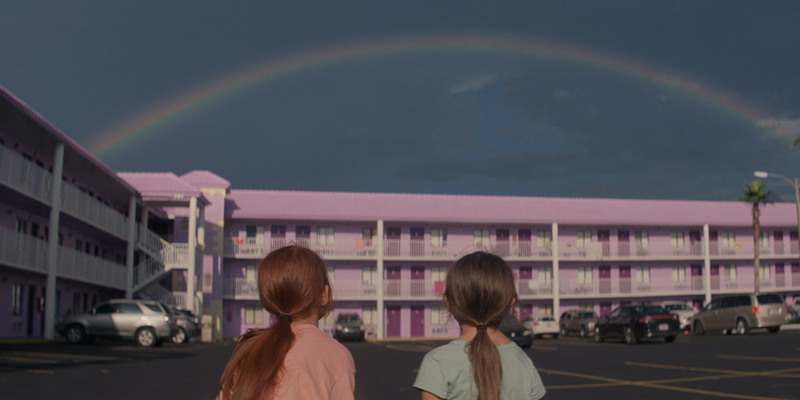 A film whose subject can feel too specific to relate to, The Florida Project somehow manages to encompass all of childhood, its ups as well as downs. The word “pure” comes to mind whenever I think of writer-director David Lowery’s venture into the afterlife with A Ghost Story. I marvel at how Lowery succeeds in using the comical, even cliched, image of a specter to span the farthest boundaries of emotion, time, and space. Casey Affleck and Rooney Mara (with her memorable pie scene) commit with quiet grace to serving as the doorway into and out of this wondrous, universe-spanning tale. Daniel Hart’s sublime score enlivens every box-like, 1.33:1-sized frame shot by d.p. Andrew Droz Palermo. 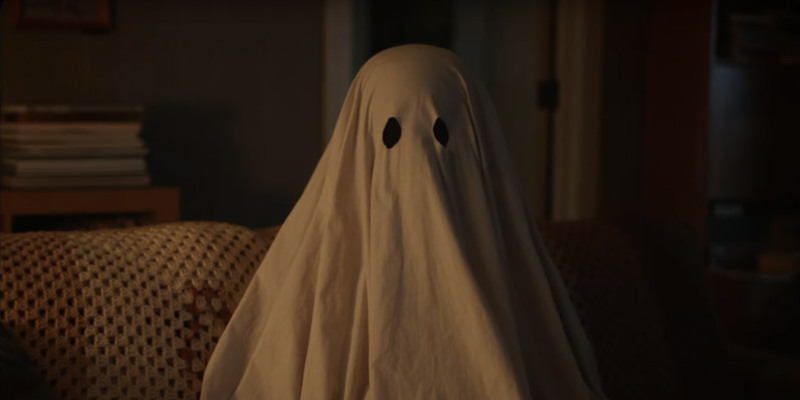 A Ghost Story may only last 92 minutes, but its reach is transcendent—perhaps the best attempt cinema has made so far at depicting Purgatory. 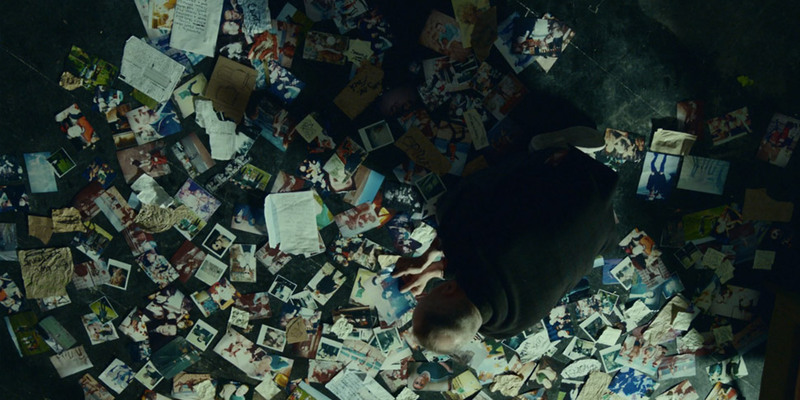 One of few common criticisms viewers seem to have towards writer-director Christopher Nolan’s filmography is his tendency for heavy exposition. 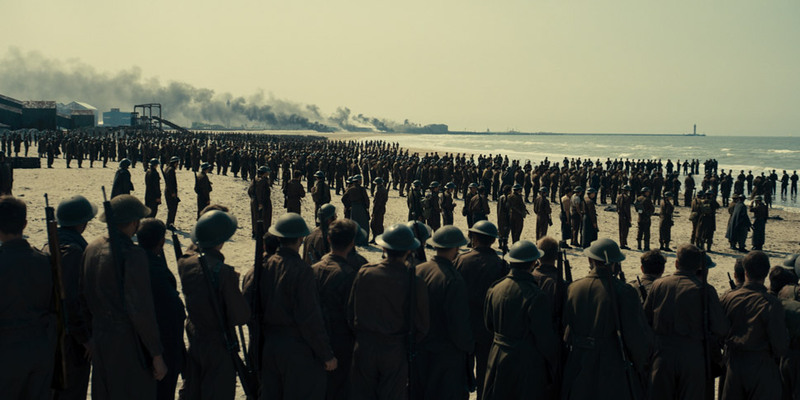 As such, his war drama Dunkirk comes off like an extreme artistic reaction, as though Nolan wants to prove his critics wrong by venturing into the opposite end of the spectrum—scant exposition, scant dialogue, all action. Nolan dares to throw his audience at once into the deep and muddled chronology of the risky but crucial retreat. His lofty and unflinching direction, along with Lee Smith’s frame-perfect editing, Hoyte Van Hoytema’s frenetic camerawork, and—most importantly—Hans Zimmer’s omnipresent score work to make the battlefield itself as compelling a character as the various British faces seeking safety throughout and away from it. 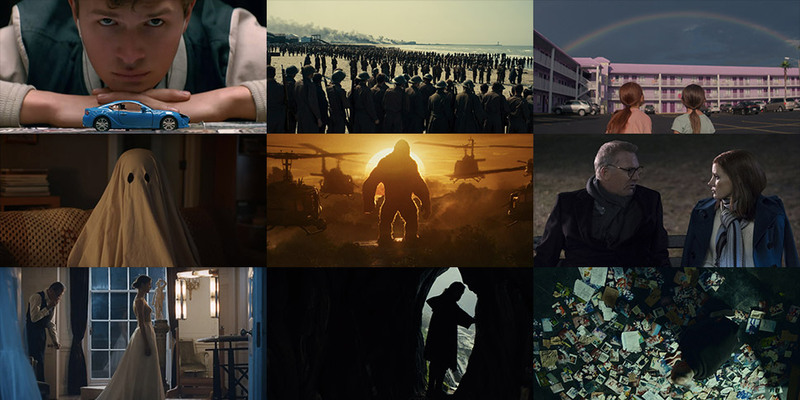 Christopher Nolan’s Dunkirk (and number two down below) defined the word “spectacle” for me in 2017. For those who have yet to encounter it, please see it on the biggest screen possible. You will not regret it. …please lower your pitchforks and torches so that I may explain myself. Thank you. I love this film. I have seen it four times, with each viewing well-spaced from the last and between a large handful of other new releases. I still love it. I have spent an entire year reflecting on its fate and I have come to conclude, with utmost confidence, that Kong: Skull Island is the most well-told, well-crafted, and well-balanced back-to-basics action blockbuster since 2015’s Mad Max: Fury Road. In only his sophomore effort, director Jordan Vogt-Roberts unleashes everything I want in a modern monster blockbuster—crisp editing, gorgeous 2:40 anamorphic widescreen cinematography by d.p. Larry Fong, thunderous sound design, and astonishing visual effects. The overall solid turns from each member of its ensemble is just a bonus. I could do a moment-by-moment commentary in praise of this movie’s technical choices. Do I prefer it over 2014’s Godzilla? By virtue of the fact that every frame of every monster fight has clarity, yes. Does it get me more excited for the future of Legendary’s MonsterVerse than for most upcoming superhero movies? Absolutely. I salute you, Mr. Vogt-Roberts. Please do not stumble with your Metal Gear Solid adaptation. …there was no way I was going to rank a Paul Thomas Anderson film I now adore lower than a monster blockbuster. Along with Molly’s Game, I re-watched Phantom Thread to confirm its placement just outside my top ten. It warms my heart that the re-watch shot it to here instead. P.T. Anderson’s film is a rare artistic delicacy, a cinematic creature of irresistible elegance, confident that its moving parts are all in pristine working condition. There was no better way for Sir Daniel Day-Lewis to conclude his illustrious acting career. There was no better way for the careers of up-and-comer Vicky Krieps and the seasoned yet underrated Lesley Manville (resembling Judith Anderson in Rebecca) to reach respective heights yet unattained. Jonny Greenwood composes one of the richest and most full-bodied film scores of the decade. As for P.T. Anderson himself, there are reasons why the comparisons to Hitchcock and Kubrick have only increased. Anderson wrote and directed a period romantic drama centering on fashion, yet every scene is somehow as captivating as the last, if not more. That is the sign of a master. And, if for nothing else, Phantom Thread provides us with one dark takeaway from cinema in 2017: Truly the best way to a man’s heart is through his stomach. Talk about a belated sequel to a beloved ‘90s British classic that all but flew under the awards radar. Director Danny Boyle and returning writer John Hodge deliver a hypersensitive experience of melancholic nostalgia, with d.p. Anthony Dod Mantle, editor Jon Harris, and other craftsmen updating the original movie’s MTV-inspired visuals. Of course, T2’s magic would not exist without the quartet of Ewan McGregor, Jonny Lee Miller, Ewen Bremner, and Robert Carlyle slipping wonderfully back into the roles that put them on the map two decades ago. Most sequels tend to underwhelm and while I would not rush to declare T2 as overall better than the first film, it remains a more-than-worthy follow-up to the 1996 British classic. 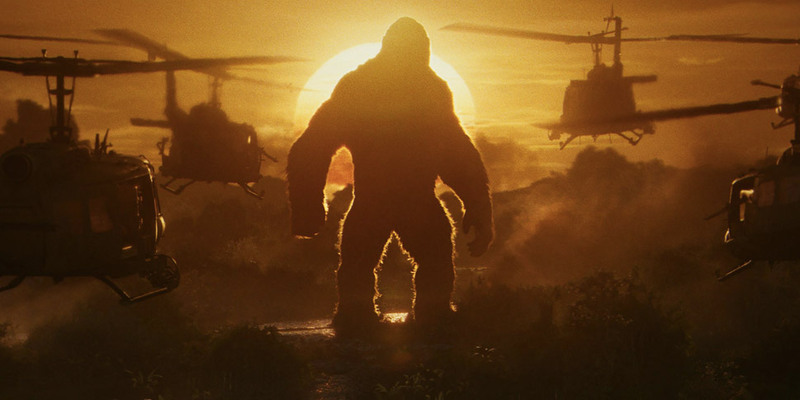 Dethroning Kong: Skull Island enabled me to admit that T2 is the more substantial movie. T2 matches Kong in its technical crafts and tops Kong with its emotion and anarchic abandon. That said, T2’s sequel status, compared to Kong’s more standalone nature, somehow made it ill-fitting to take Kong’s place at the top, despite being the stronger cinematic work. And there it is. Wow. During all the times I have seen Episode VIII—The Last Jedi on the big screen, I smiled with glee from start to finish. How often do we get to see heroes stumble from their miscalculated decisions, even as decades of action cinema have brainwashed us into believing that reckless heroic actions will somehow solve everything? How often does the patient resolve of our heroes’ superiors (whether male or female) end up as the correct move all along? Do blood ties and past legacies matter in the end? 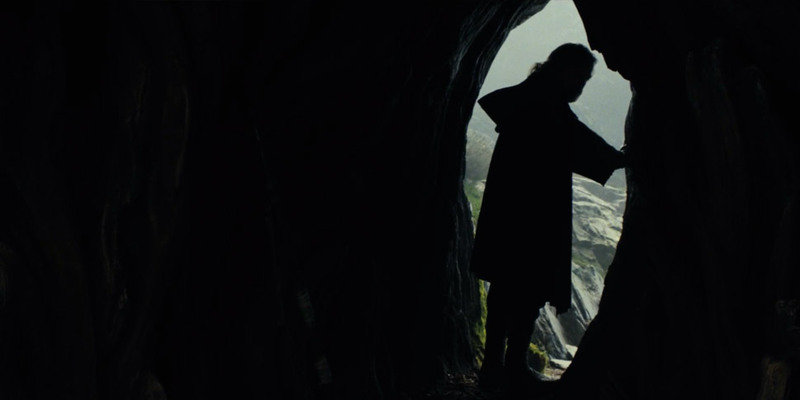 The searing ways writer-director Rian Johnson addresses these questions in The Last Jedi and how they play out through the actors (Mark Hamill in particular) continue to amaze me. You know how much I admire Johnson’s offering to the Star Wars saga? I disapprove of ranking 2015’s Episode VII—The Force Awakens as the best film of 2015 (i.e., my runaway pick for the best year of cinema this decade so far). I would not consider myself a Star Wars fan. Yet ranking Episode 8 as the silver medalist of cinema in 2017 just feels natural to me. So what if The Last Jedi has some weak spots? That is like saying The Beatles’ White Album has some weak spots. Debatable, yes, but that does not diminish the rest of the album’s overwhelming strengths. The Last Jedi is The White Album of the Star Wars saga and yes, the best Star Wars installment since 1980. I first caught this flick on the first weekend of January 2018. Once the credits started rolling over the footage of Ms. Harding in 1991, landing the first triple axel by an American woman in competition, I realized that I, Tonya was the cinematic anarchy I had been waiting for all year long. What a glorious film. What a perfect compilation soundtrack! Margot Robbie proves herself here as a formidable acting and producing force, while Allison Janney reminds us of how much of a formidable acting force she still is. Sebastian Stan generates such a ferocious storm of envy here that will astonish those who only know him as the MCU’s Bucky Barnes/Winter Soldier. And who could forget how amusing Paul Walter Hauser is here? With a wonderful script by writer-producer Steven Rogers, stellar editing by Tatiana S. Riegel, and direction by Craig Gillespie that would make David O. Russell’s jaw drop, I, Tonya succeeds as both entertainment and as perhaps the definitive take on the infamous 1994 incident. An infectious fusion of complex biographical dramedy, combined with the triumphs and bittersweetness of great sports dramas, I, Tonya is one for the ages and is my favorite film of 2017.